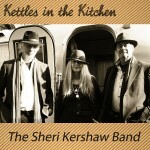 Some of Sheri and the band’s upcoming gigs, more to follow. Date / Time: Saturday 20th July 2019, 1 p.m. Date / Time: Friday 26th July 2019, evening.